You get nearly every channel in America with this sweeping, value-packed deal — that’s more than 290 choices! America’s Top 250 gives you more channels so you can watch all your favorites and find new ones! An extra 40 channels in America’s Top 250 package! Channels you can’t get with DirecTV, like FOX Movie Channel, Movieplex, and more. With America’s Top 250, you can tune into all of the channels featured in the America’s Top 200 package, plus popular new additions like seven Encore movie channels, Fox Business Network, and so much more. Add in a Hopper® with Sling technology, and you’ll get entertainment wherever and whenever you want, all at your fingertips. 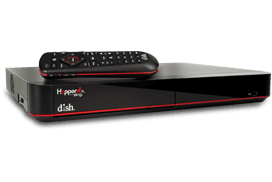 The Hopper 3 lets you record up to 500 hours of HD or 2,000 hours of SD of the hottest shows and films, which you can view on your TV, tablet, or smartphone! 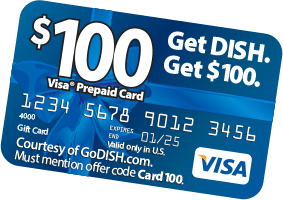 DISH lets you indulge in premier series with shows like “Billions”, “Homeland”, and “Ray Donovan”, plus box office hit movies. That’s because when you sign up for America’s Top 250, you’ll also get Showtime FREE during the first three months! You’ll also receive a free three-month trial of DISH Movie Pack. And you can add the Multi-Sport Pack with NFL RedZone for more sports madness! Treat yourself and your family to the latest and greatest in entertainment for less with DISH Network’s America’s Top 250 package from DISH. Locked in for 2 Years! Get premium channels FREE for 3 months! With the best selection of original series and tons of the latest hit movies. After 3 months, you will be charged $30/mo unless you call to cancel. Watch your favorite shows in HD — FREE! Make sure you’re experiencing true HD on your HDTV with DISH HD programming and receivers. Upgrade to the award-winning Hopper 3 whole-home HD DVR for $5. Watch live TV anywhere, Autohop through commercials, and get 2,000 hours of recording capacity.